This month, we’re rolling out a hefty list of product updates guaranteed to improve your user experience and help you prospect more effectively. Announcing Mail Merge Team Templates, a new and improved Outlook events feed, and more. You’ve been hearing a lot about building relationships using drip campaigns. 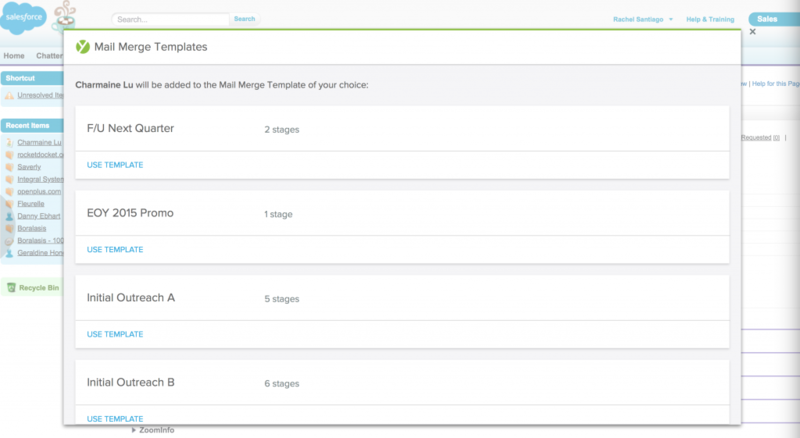 We’re making it easier and faster to set up multi-stage drip campaigns and share with your entire sales team with new Yesware Mail Merge Templates! 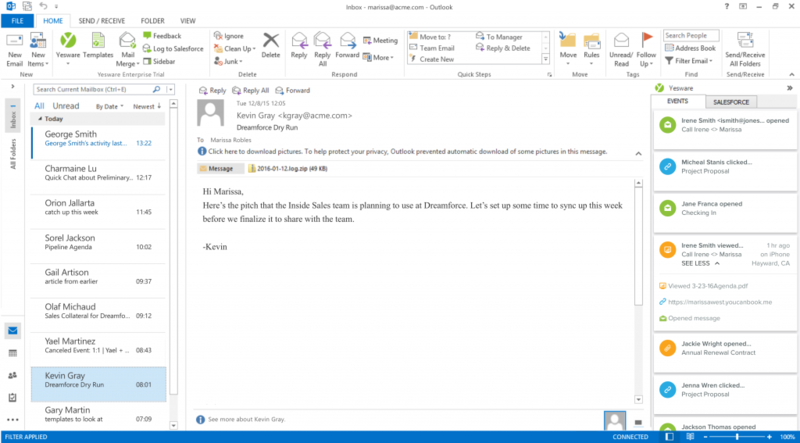 Team Managers can now create multi-stage mail merge templates to share with your entire team. Create a brand new Mail Merge template from scratch, or edit a previous Mail Merge and save as a template. 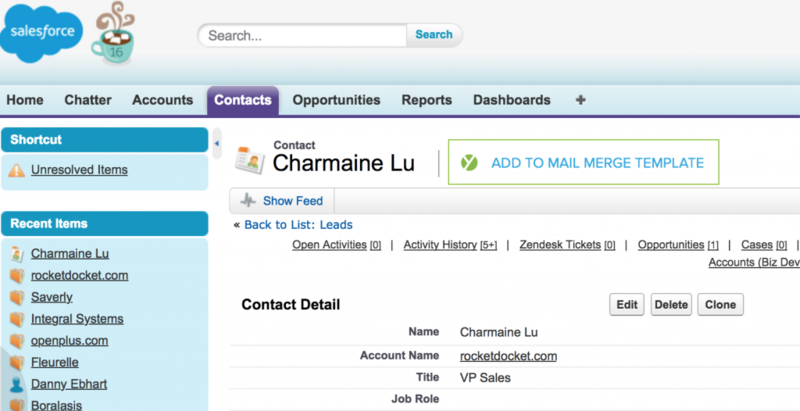 Select the “Add to Mail Merge Template” option at the top of the Contact or Lead page in Salesforce. Select the Mail Merge template you’d like to use. 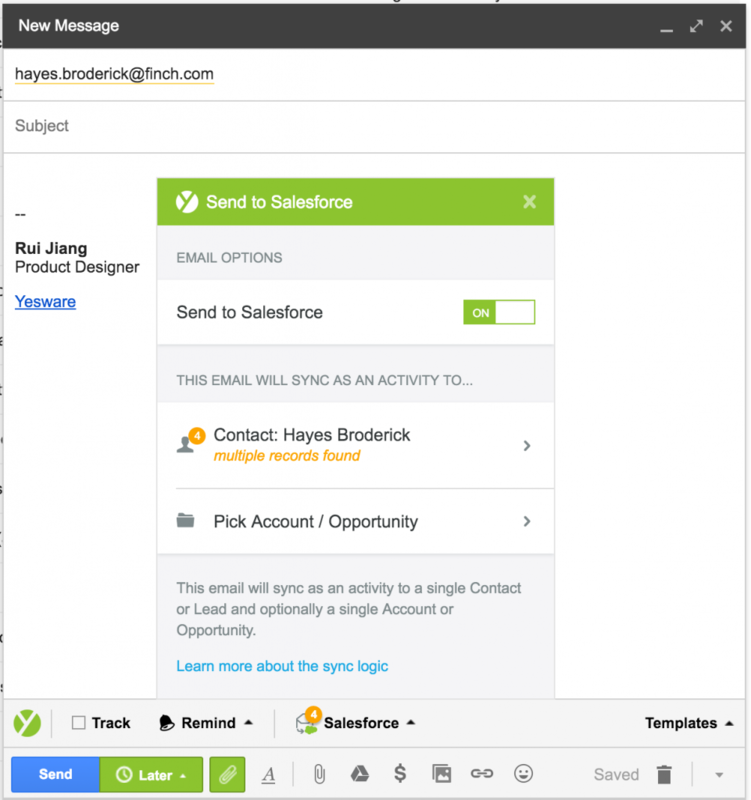 When composing an email to a contact that has multiple records in Salesforce.com, the new Yesware Sync Selector flags the duplicate records, and lets you select which Lead/Contact and Account/Opportunity to sync to. Once selected, Yesware will automatically remember your preference for all future events. We’ve redesigned our Outlook events feed to make it easier to see and understand your Yesware tracking events at-a-glance. Colorful icons make it easier to scan your feed for email opens, links clicked, attachments downloaded, and more! What this means for you: Each time you presses compose, the tracking checkbox will automatically reflect your pre-set preferences. Click “Compose Options,” and turn your preferences on/off in the drop-down menu. Our new Gmail Navigation is here to stay. We removed an preference allowing users to toggle the outdated Inbox dashboard. We fixed a bug that caused another window overlap with the Gmail Launchpad. We’ve made our Click-to-Call feature easier to spot when a user rolls over a phone number. Fixed a bug allowing customers to add/remove paid seats on their accounts. Fixed a bug in which the sidebar was showing strange code.